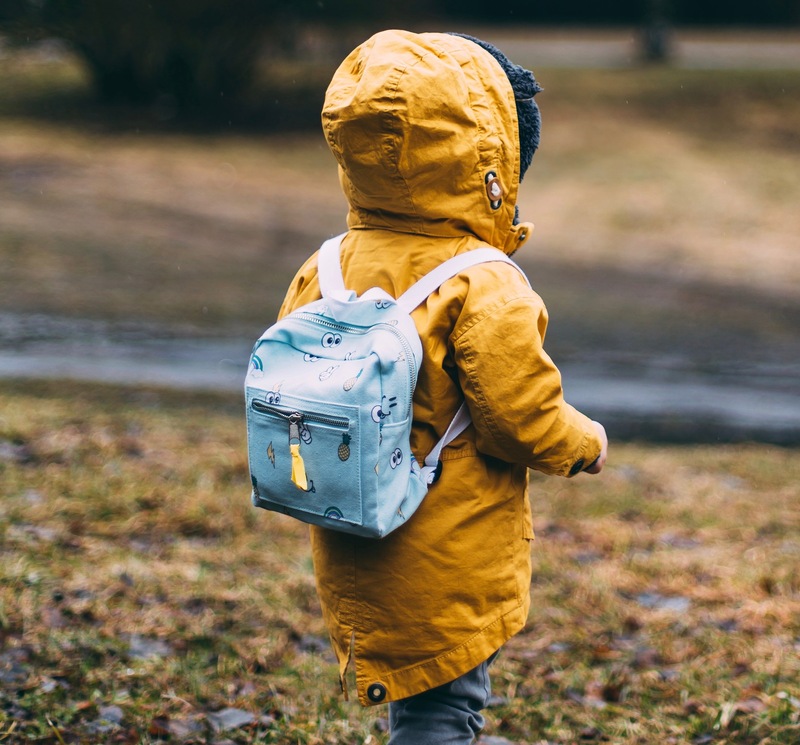 The child care forms you use each day in your early childhood education program are often so simple that you may easily overlook their potential for improvement. Take sign-in sheets, for example. Sign-in sheets play a vital role in both accounting for the whereabouts of children in your care, and for gathering accurate attendance data for licensing, recordkeeping, and billing purposes. By optimizing your sign-in experience, you can make things easier for parents and staff both during the hectic check-in time and when you review any child's attendance. This will save you time, money, and frustration across the board. Let's take a look at the pros and cons of traditional sign-in methods, and explore the benefits of moving to a more modern, digital solution for child check-in and attendance tracking. Sign-in sheets are typically structured one of two ways: Either each child has their own sheet that records their movements throughout the week, or all children's whereabouts are noted on a new sheet every week. Both have benefits and drawbacks to consider before choosing the method that's right for your program. With this method, all of a child's attendance information is in one place. You don't need to cross-reference an entire class roster to tabulate which days or how many sessions a child has attended. If you bill parents based on how many days a child comes to your center, or if you have a surcharge for certain activities, an attendance sheet by child can make calculating invoices easy. A child's personal sign-in sheet also gives parents a concise overview of their attendance and drop-off times, and the information remains relatively confidential. Giving each child their own attendance sheet can make drop-off and pick-up more hectic for parents, who have to find the right piece of paper to sign-in on. It is also more for staff to keep track of and more to store and file. This method also makes calculating total attendance more difficult, as you have to consult each child's sheet in order to reach a group total. This can make adding up income and expenses more time-consuming, as well. Having one sign-in sheet per week is a lot less paper for staff and parents to deal with at drop-off. It can simplify your child care center's morning procedures and reduce some of the sign-in chaos. It is also easier on your bottom line to print one sheet per week, rather than printing separate sheets for each child. Using one sheet per week will also take up a lot less storage space at your center. Tracking attendance by week makes it easy to work with your weekly or monthly attendance numbers, and see who participated in which activities, which is convenient for calculating weekly or monthly cost and expenses. If you have split up attendance at your center by days of the week — such as a M/W/F group and a Tu/Th group — you will need to print more than one attendance sheet every Monday morning. If you offer more flexible scheduling, a weekly sheet may not be able to accommodate for this. Additionally, it is harder to see the attendance of one child at a glance. Paper sign-in sheets are not a one-size-fits-all solution. What you choose to use depends on how your center runs, how many children you have, and what your scheduling and billing practices look like. Digital check-in solutions allow families to sign in quickly and securely, and allows for you and your staff to view that information by child, by classroom, or by length of time. And the best news? Digital sign-in sheets are easier for parents to use than paper forms. With digital check-in, parents can use an app to sign their children into child care. Every enrolled child will be in your digital system, and parents can select their child's picture on your digital device. They then either digitally sign their signature, just like signing an e-receipt on a credit card screen, or can use a unique four-digit passcode to securely mark their children as dropped off or picked up. When you are ready to look at your attendance data to calculate bills or check tardiness or late pick-ups, you can quickly run a check-in report that allows you to sort that data. You also don't have to worry about storage — all of your check-in data are stored in the cloud for easy access when you need them, no file cabinets required. This will save you administrative costs of paper, ink, and storage, and makes recordkeeping a breeze. One of the most convenient features of using a digital sign-in system is the ability to integrate attendance with your billing system. Rather than tally by hand the number of sessions a child has attended, or which days they attended, you can automatically generate an invoice based on what has been logged in your digital sign-in system. We recommend seriously considering a digital solution because of this flexibility. The configuration options and automated reporting of digital sign-in save you and your staff time both at check-in and when it comes time to look at your records for billing, enrollment, or preparing for a parent meeting. Digital check-in is just as secure as a paper check-in, because each parent has a unique code to verify who they are. This means that parents can easily get in and out during drop-off without having to wait for staff to oversee the check-in process. 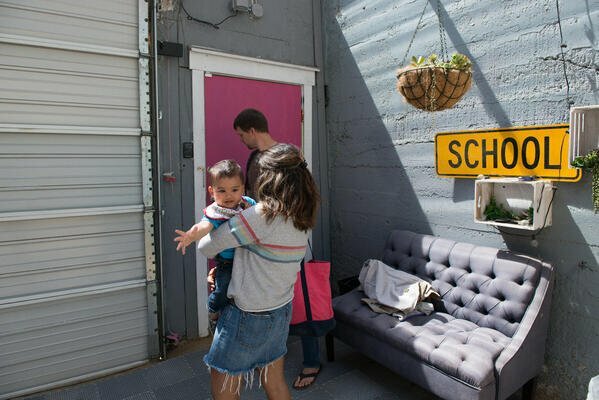 Drop-off is a hectic time, and allowing parents to sign their children in frees up staff to move about as necessary and help children get ready for their day. Staff can still greet parents and welcome children – just without the responsibility of signing everyone in. 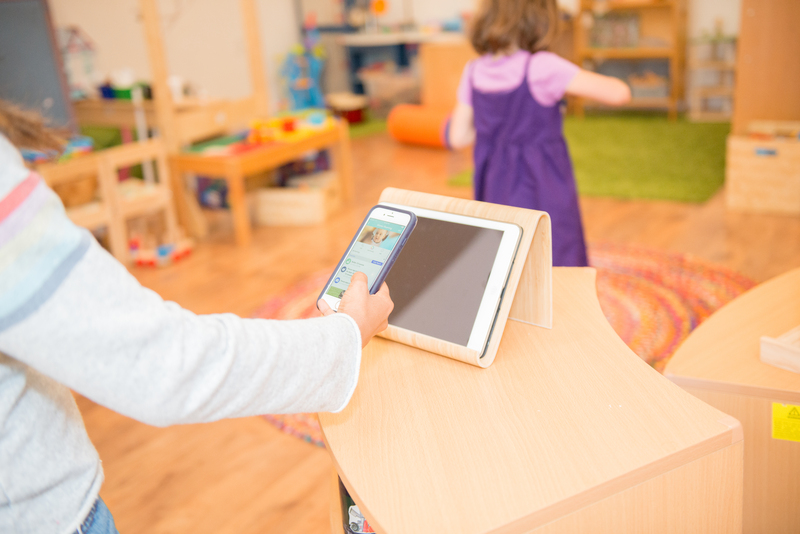 With brightwheel, you can also use a QR code scanning feature, where parents use their own device to scan a QR code at your center to quickly and securely sign their child in. Parents can scan to check their child in, add notes, and even sign in multiple children at once. Your check-in efforts are minimized and your ability to work with attendance data is maximized with a digital sign-in system. It's a great way to reduce friction at hectic times while remaining a secure process to manage taking attendance each day. When it comes to billing, attendance records, and calculating costs, digital systems do the lion's share of the admin for you. If you choose to use paper sign-in, think carefully about whether a weekly sign-in sheet or a sign-in sheet for each child works best. You can check out our free templates for weekly sheets and sheets for each child and decide what is best for you!